Raw Chia Superfood Cereal was posted on September 26th, 2014 and is filed under Breakfast, Dairy Free, Gluten Free, Low Carb, Recipes, Vegan. This entry has 6 comments. You can follow any responses through the RSS 2.0 Comment Feed. Low Carb Cream Cheese "Pancakes"
You are a genius! I must try this! Hello, saw a product at Costco, called Granola…….and today saw the same product as Super Store. I am in Canada. They gave out samples, tasted it, was very good. All high calorie…………….have you tried the muffin in the cup………….1/4 cup flax…….keeps a person full for a long time. I would certainly want than 2 tbsp for breakfast……would that be enough for you………. Looks good can hardly wait to make it. 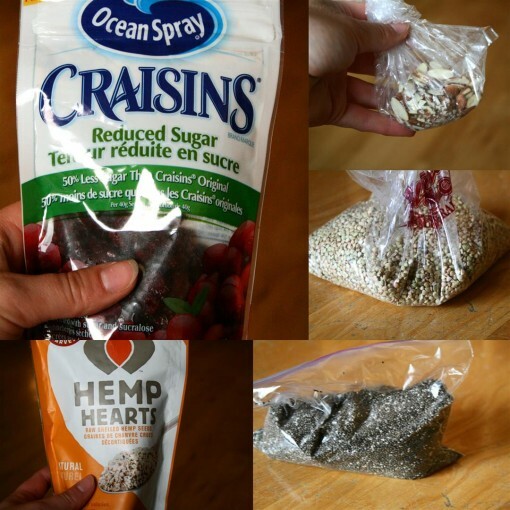 looks so nutritious with all those healthy ingredients — I’m a big fan of hemp hearts and that brand in particular. I do something similar every morning but I use fresh or frozen berries instead of the dried cranberries. However, I never thought of adding buckwheat, a bag of which my son recently brought home to me from Russia. I read that it is very nutritious (and gluten-free). To your mix above, I would add: 1/4 cup chopped walnuts, 1/4 cup old-fashioned oats, 1/4 cup ground flaxseed, 1/4 cup unsweetened organic flaked coconut, and 1/4 cup raisins. Mix it all together with your ingredients as above and store in frig. 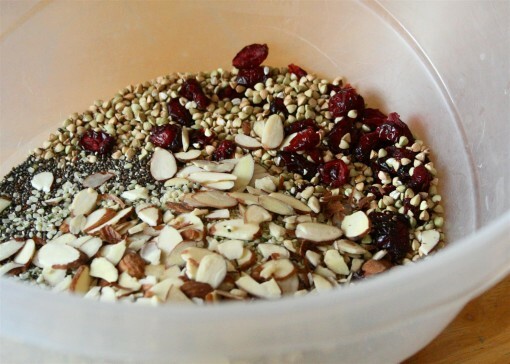 I would use 1/2 cup of this mix with almond or soymilk for breakfast, less for a snack. In fact, I just mixed some up and it will last me the week! 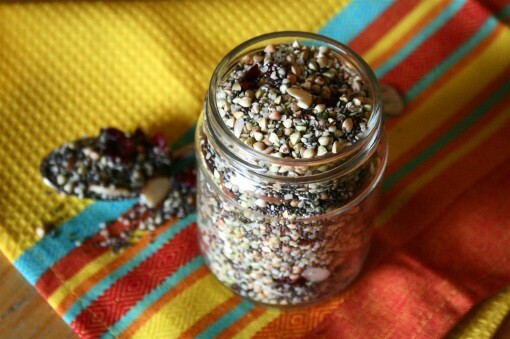 I love to use chia seeds in baked goods and as a thickener for natural jams. We picked a lot of peaches this year – I cooked them down (skins and all) and thickened it with chia seeds alone. So good!